Hostelería Miramar Badalona, S.L. is a company registered in Barcelona´s Commercial Registrar,Tomo 32136, Folio 180, Hoja B-201889, with Spanish ID (CIF) B-62091699. 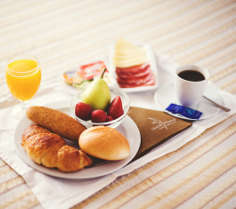 This company is owner of the domain name hotelmiramar.es. The user vuluntarily accesses this website, implying its use in compliance to this legal notice, the law, morality and good faith and/or common customs. The use of this website supposes the acceptance of this legal notice. This site’s webpages may be visited freely by the users. Hostelería Miramar Badalona, S.L. reserves the right to change the content of this legal notice without prior notice, thus for proper use of this website we recommend visiting this section periodically. © 2010, Hostelería Miramar Badalona, S.L., hotelmiramar.es. All rights reserved. This website and its contents include: Articles, texts, images, logos, trademarks, buttons, software, etc and are all protected by the current legislation on industrial and intellectual property. This is why we expressly prohibit any reproduction, copying, changes, distribution or transformation without the express written authorisation from Hostelería Miramar Badalona, S.L. Access to this website never supposes the user’s acquisition of any of the property rights on its contents. Hostelería Miramar Badalona, S.L. reserves the right to change, update or delete any of the site’s contents at anytime without prior notice. Hostelería Miramar Badalona, S.L. reserves the right to interrupt access to the website, along with any other services offered through it, at anytime and without prior notice, whether for technical, security or maintenance reasons, or any other causes. Hostelería Miramar Badalona, S.L. is not responsible for any service interruptions, delays or malfunctions or any other inconveniences occurring due to causes out of Hostelería Miramar Badalona, S.L.´s control and/or caused from harmful user actions and/or from force majeure. The information on this website may not be correct, despite the efforts made towards accuracy and updating. Therefore, Hostelería Miramar Badalona, S.L. is not responsible for any errors contained, or from the damage or harm derived from their usage. This website may contain links to other websites whose content, use or accuracy is not under Hostelería Miramar Badalona, S.L.´s responsibility. The incorporation of a link on this website is not considered a recommendation to users to proceed to use it; the decision to use it is under the user’s responsibility. Hostelería Miramar Badalona, S.L. is not responsible for the damage and harm derived form using this website or its contents, not guaranteeing the lack of viruses or the impossibility of causing damage to the user’s computer systems. Hostelería Miramar Badalona, S.L. is not responsible for any misuse of this website. You may download, view and print the contents on this website only for personal, non-commercial aims. 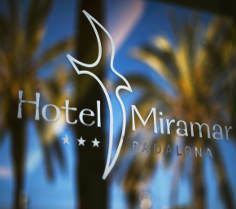 This website’s conditions and relationship between the user and Hostelería Miramar Badalona, S.L. are governed by Spanish legislation and jurisdiction. To better understand any discrepancy that may arise between the user and Hostelería Miramar Badalona, S.L. both parties submit themselves to the Courts and Tribunals of Badalona, Spain.